The first stage in the licensing system in Ontario starts with a G1 license. You may start to learn how to drive G-class vehicles such as cars, vans and small trucks when you have a G1 license. There are a myriad of questions that may come to your mind if you are thinking of getting a license. There are many who become nervous at the time of written test as they may not prepare well and try to test their luck. The G1 test is a written exam about the traffic signs and rules of the road in Ontario. You may attempt the knowledge test at a designated DriveTest center. All testing centers may have a paper test option while a few have an online option too. There is also an eyesight exam that you need to pass to get a G1 license. There is no need to book for a knowledge test in advance. You may just visit a DriveTest center to give your test. It is important to reach the testing center at least an hour before the closing time of that center. The written knowledge test is prepared by the Ministry of Transportation, Ontario. The G1 license package costs $158.25. This fee includes the cost of the written test, Class G2 road test, and 5-year license. You have to pay this fee at the time you apply for your G1 license. The cost of retaking the written test is $15.75 each time if you fail the test. You have to be at least 16 years old to take a G1 test and show original documents to prove your age, legal name, signature, and immigration status. In all testing centers, you may give your G1 test in paper format. Certain testing centers have an online test format too. Also, you may carry the fee for the G1 test. There are 2 sections in a G1 test. The first one is on the road rules and the next is on road signs. Each section has 20 questions. You may pass if you score at least 80%, 16 correct per section. If you cheat or disrupt, you may be barred from the test, no refund and retest the next day. If you do not pass the test then you may have to pay the test fee again and try later. Your test results remain valid for a year. So, if you were to re-try your test within a year, you may have to only answer the sections that you failed as per MTO standards. Fortunately, the G1 test is not a timed exam and the format is in multiple-choice questions. For writing or reading issues you may request for an audio or verbal test. Usually, the G1 written test takes about 20 – 30 minutes to complete. You may take your time and read the questions carefully before you choose your answers. You need to bring the test fee as cash, debit or credit card and 2 original identity proofs to G1 test. They will check your date of birth, signature and immigration status. If you wear lenses or glasses then you may carry them. Your eyesight exam is done after you pass your G1 written test. You may bring your original identity documents to prove whether you are a Canadian citizen, Permanent Resident or Temporary Resident in Canada. All documents must be valid and original as they do not accept even certified copies. If you have one document showing date of birth, signature and legal name then that is sufficient. Canadian Citizens may provide their passport or Certificate of Canadian Citizenship for a single ID proof. They may also provide the Secure Certificate of Indian Status Card or the Ontario photo card. Temporary or Permanent Residents may provide their passport, Record of Landing, Temporary Resident Permit or Work Permit. If you do not have a single acceptable ID proof then you may give a combination of documents. You may give U.S. or Canadian birth certificate / ID card, certified copy of Marriage Certificate, Certificate of Indian Status. You may show Nexus/EXPRESS/FAST card, Ontario student card, Department of National Defence driver permit or identity card. They will look at your id proofs to confirm your personal information. This includes your full legal name, date, month and year of birth along with your residency status in Canada. You may check out the complete list of accepted id on the DriveTest website. The level of difficulty for your G1 test would depend on how much you have prepared for the test. If you read the MTO handbook carefully to know the rules of the road and signs then you may easily pass the test. It also helps a lot if you practice the G1 sample questions and understand the driving scenarios. If you do not score a minimum of 16 on each section then you may fail the test. This means that even if you score a perfect 20 on one but a 15 on the other, you may still not pass. A lot of examinees do not read the MTO handbook and try to just practice the sample questions. That may not work in their favor when they face the real test. They may find the G1 test hard as it could have different questions and they did not read the handbook. The failure rates for G1 written test are somewhere in the range of 50% to 75% in Ontario. A lot of the examinees may not prepare well or memorize all the rules and fail the test. Others may not read the MTO handbook and just do some online practice tests which may not be good enough. If you have decided to get a driving license in Ontario then the first step is passing the G1 knowledge test. By understanding the content, rules, and examples mentioned in the MTO handbook you may pass the G1 test. Some examinees pass the G1 test in their first attempt itself, while many fail and retake the test. You may purchase or borrow this handbook from your friends or family. The cost of this book is $14.95 excluding taxes. Though you may find this book boring, it does have valuable information and tips. Make your own notes to help you remember the signs and rules. Get familiar with the contents of the book as a starting point for preparing for the real test. This will help to gauge your knowledge and areas where you lack and need to study more to pass the test. Do not use only the practice tests to learn for the written exam as it may not contain all the scenarios or questions. After you attempt your practice tests then you may read your handbook again. You may find an explanation for sections where you made mistakes on your practice tests. This will help you to understand the concept and know the correct answer. This time when you read the handbook it may not be that boring and in fact, you may relate to the content due to the practice tests. Get your memory sharp and focused on the rules of the road and the significance of traffic and road signs. Study well so that you are not surprised at your test and fail it. There are many online practice G1 tests available without any cost. You may choose a reputed one and practice as many times as you can till you score perfectly in all the attempts. It is important to get enough sleep the night before your test so that you are rested well. This will help to remain focused and your concentration levels would also be high during the actual test. Also, do not skip breakfast before the test as you may not want your stomach to rumble during the test. One at a time, pay attention to each question and what is it testing you on. Some questions may be tricky and confuse you. If you prepared well then you may be confident of the correct answer. Don’t leave out any question, if you are unsure you may answer that question later as per your best knowledge. If you still don’t know the answer, then use your common sense and reasoning to pick the best option. There is no point in being nervous as it is not the end of the world. Sometimes when you are overtly nervous then you tend to forget what you had learned. In the worst case scenario, you may fail, pay your test fees and then retake the test later. When you are in a relaxed frame of mind then you are able to give your G1 test with a better outcome. Stay positive and attempt each question carefully. There is no need to rush and after you finish the test, review to confirm that you did not miss any question. The G1 knowledge test is not a timed test. Typically, you may finish both sections of the test within 20 to 30 minutes. It is good to take make use of the available time and not hurry during the test so that you pass the test. There are 3 DriveTest centers that are open on a Saturday from 8.30 a.m. to 5 p.m. These include the DriveTest centers in Brampton (Gulf Blvd), Toronto Etobicoke and the Toronto Port Union. Unfortunately, none of these DriveTest Centers offer services for G1 written test on Saturday. Yes, some DriveTest centers have the facility to take your G1 written test online. It would be a good idea to confirm with your preferred location before you arrive for the online G1 test. However, you may take the G1 test in a paper format at all DriveTest locations. There are many DriveTest centers where you may take your G1 written test. These include 55 full-time centers and 39 part-time DriveTest centers. However, all the centers do not provide services for G1 written test. In order to check your nearest location for giving your G1 test, you may search online. Try to arrive at the location at least 1 hour prior to closing. The contents of the G1 test consist of a set 20 questions each on rules of the road, traffic and road signs. The content is very exhaustive and that includes over 70 traffic signs that you may learn. There are over 90 common road rules for Ontario that you have to be aware of as a safe driver. The questions are related to driving scenarios and your knowledge of the correct traffic rule. You may not make more than 4 mistakes in each section or else you may fail the test. The G1 test will ask you questions about traffic signs & lights, seat belts, speed limits, emergency vehicles and use of headlights. They will ask you questions about getting off and on a freeway, response to other road users and school buses. License suspension, demerit point system, passing other road users and the sharing the road with others, road rules and collision reporting are also topics for a G1 test. Yes; the G1 test is in multiple-choice format. Each question will have a set of 4 options and you may have to choose the correct answer. All testing centers offer the written format for a G1 test. A few testing centers offer an online option for the G1 test. The G1 test comprises of 2 sections, Part A & Part B and each section has a set of 20 questions. In order to pass the test, you must get at least 16 answers correct on each section. The minimum passing score is 80%. There is a choice of 17 languages in which you may take the G1 test. Yes; the G1 test is in a multiple-choice format. So, for every question, there would be a choice of 4 options; a, b, c and d. You may read the question carefully, form an understanding and then choose the correct option. The G1 test may have pictures that ask you questions about traffic and road signs. There may be pictures that depict a road condition. These may ask you to choose the correct driving decision or driving rule. The G1 test would have 2 sections and each part may have a set of 20 questions. One part of the test would exam your knowledge about rules of the road in Ontario. The other part will test your knowledge about the traffic signs. The test is in multiple choice types of questions with 4 options per question. There are no hints for a G1 test. However, you may read the question carefully and first eliminate the wrong options. Then check the remaining options and decide on the correct answer as per your knowledge, common sense and understanding. When you finish the test, you may review that everything is ok and you did not miss any question. When you are going to give your G1 test for the first time, you may have many questions that run through your mind. Read on to find the answers to some common questions. No. They do not allow you to take your G1 test without paying your fee, even on your birthday. A G1 license is a valid novice license with many restrictions. As a G1 driver, you must have zero level alcohol while driving. You may not drive without a fully licensed driver sitting in the front seat and they must have at least 4 years driving experience. All passengers in the car must have a working seat belt. Their blood alcohol level must be less than .05% when they accompany you and they must have a valid license. There is no permission to drive on 400 series highways with speed limit of 80 km per hour. The only exception is if your accompanying driver is also a driving instructor. A G1 driver is not allowed to drive between 12 a.m. and 5 a.m.
No, G1 and M1 are 2 different types of licenses. The G1 license is a novice driving license for G-class vehicles such as small trucks, vans, and cars. However, the M1 is a novice license for a beginner to ride motorcycles. M class vehicles may include mopeds, full speed or limited speed motorcycles, motorized scooters, and three-wheeled scooters. Yes, a G1 license is valid for 12 months. You may not renew or extend it once it has expired as G1 is a novice license. 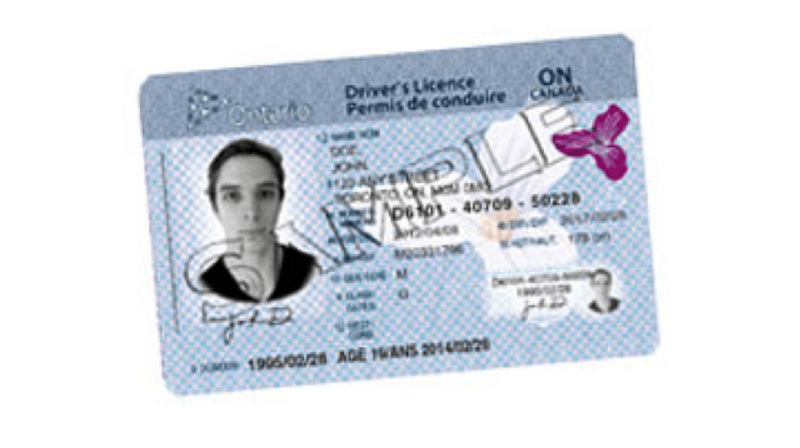 However, if you pass your G1 exit road test before your G1 license expires then you may get your G2 license. The fee that you have to pay to get your G2 license is $90 and this will be valid for five years. No, when you drive with a valid G1 license then it does not count towards your driving experience. In order to have your driving experience count, you may have to be at least G2 level driver with a valid G2 license. What Happens if You Get Caught Driving Alone with a G1 License? Can You Buy a Car with a G1 in Ontario?